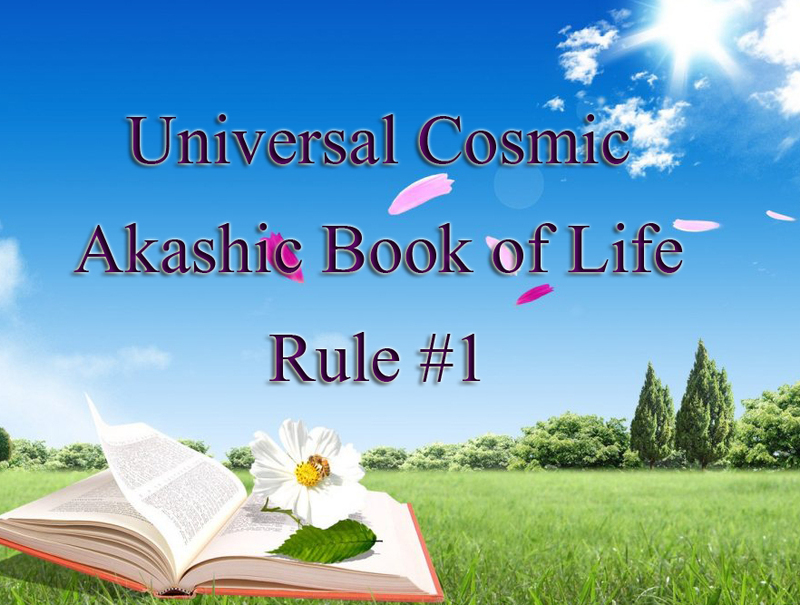 “The #1 rule in the Universal Cosmic Akashic Book of Life is “to achieve the greatest state of being, one must understand the core point of existence. The core and the very deep essence is to enable one to BE. Recognizing the divinity of all that exists within oneself, and divinity of each and every moment, will persuade one to internalize the code of joy into ones sphere of living. For the thoughts that one proclaims to himself and to the world are such that they taint the existence of the one, thereby influencing direct actions from the thoughts not only to the individual in question, but the universe as a whole.